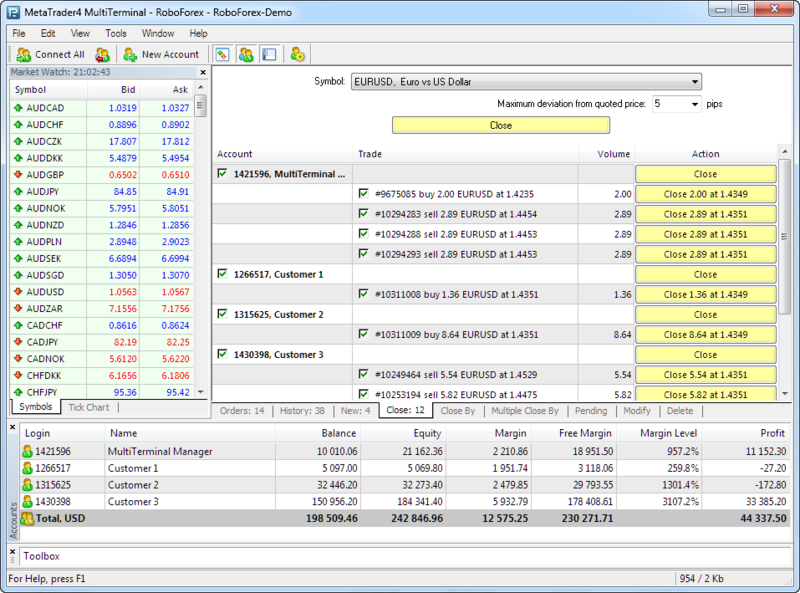 MetaTrader4 MultiTerminal – is a tool that can help you to manage your trading operations from Members Area more efficiently. MultiTerminal makes trader’s work much easier because it provides an opportunity to trade on several trading accounts of the same type. 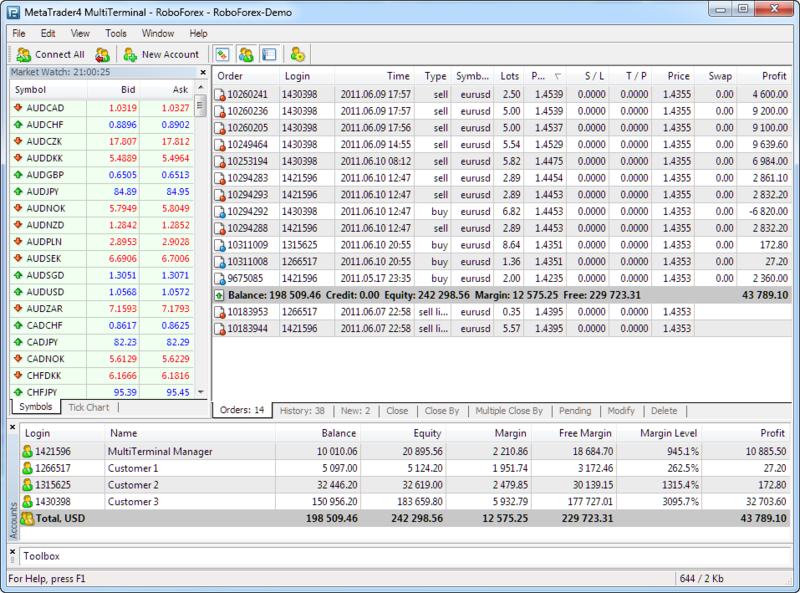 RoboForex MultiTerminal allows you to work with a lot of accounts on the same trading server. By pressing the button, you can send the order to several accounts at the same time, and MultiTerminal will automatically distribute the volume of the orders based on the current profit, balance and available funds on each account. Three modes of order execution. Different types of orders (market, pending, stop orders, and others). Partial or full position closure. "Close By Order" and "Multiple Close By Order". 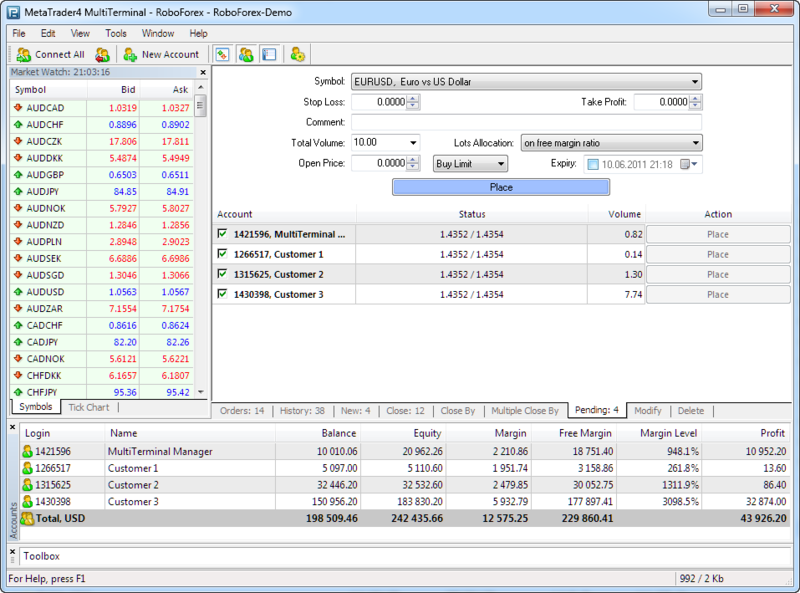 Monitoring of state of the account and open position with an opportunity to modify open positions and Stop Loss and Take Profit levels for them. 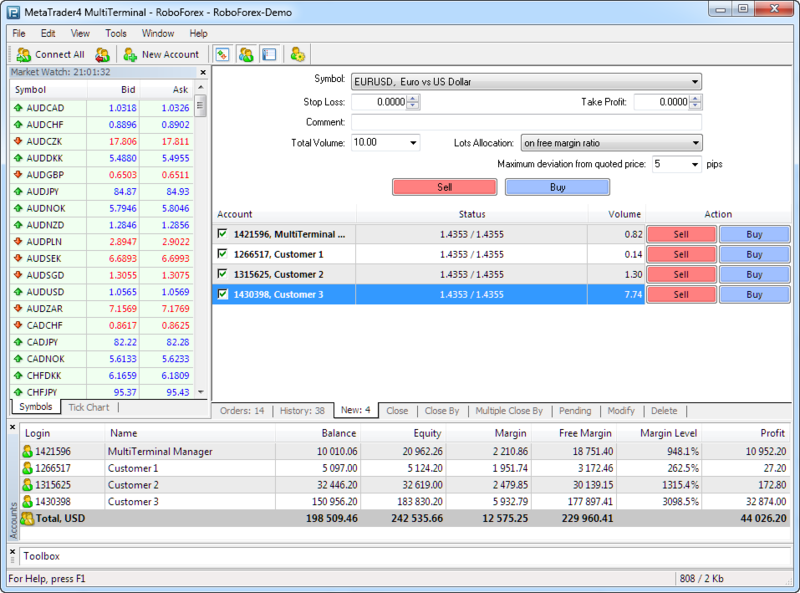 MultiTerminal is a simple and convenient platform, which contains all functional capabilities of MetaTrader4 (including the multilingual interface) and helps even unexperienced traders to swing into the action very quickly. Please note that you can find a detailed "User Manual" for MultiTerminal by selecting "Help Topics" in the Help menu or by pressing the F1 key on your keyboard.